Family Time is an American 30 minute scripted family television series, which kicked off on June 18, 2012, on BOUNCE TV and is broadcast every Tuesday at 21:00. The show is currently in its 6th season. 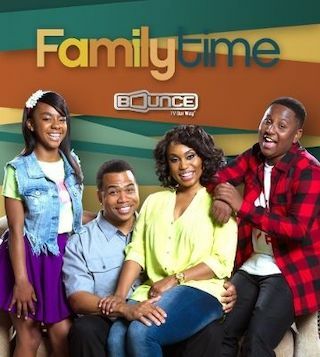 BOUNCE TV is yet to announce the renewal of Family Time for Season 7 as well as its cancelation. Sign up to track down the show's status and its release date. Family Time chronicles the lives of the Stallworths, who have recently relocated to the suburbs. High school sweethearts Tony Stallworth, a struggling general contractor, and Lisa Stallworth, an energetic stay-at-home mom, lovingly quarrel with each other and their mischievous children, Devin and Ebony, as they make up their own rules for love, marriage, and family along the way. When they are not battling each other, they are contending with a host of family, friends, and neighbors including Tony's financially challenged best friend Donnie and Lisa's feisty sisters Rachel and Lori in the tight-knit community of Windsor Hills.